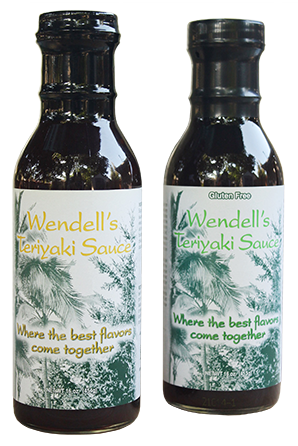 The inspiration for Wendell’s Sauces came from growing up in Hawaii and enjoying cuisines from many cultures. Wendell learned early how to blend a variety of spices and flavors from his father. After moving to Oregon to attend culinary school, Wendell created his own signature sauce to use in our specialty dishes. Because of high demand from clients, we have made it available to purchase at these local retailers. Albertson’s on 185th and West Union Rd.